Morning green juice! The perfect ratio of green to tart with a hint of mint! Did you miss the FREE JUICE WEBINAR? Would you like to see it? Click here to register + you'll be directed to the video. I first started juicing after seeing the trailer to Fat, Sick and Nearly Dead! Just. The. Trailer! It was almost three months of daily juicing before I actually saw the film and of course I LOVED it. I've been juicing ever since and still love the way I feel after drinking a magic green elixir! Last week I did a 1-day juice cleanse and was so inspired by the results I decided to offer this webinar! Please join me tomorrow, August 27 at 6 pm central for a FREE Webinar on all things juice! Curious about juicing or juice cleansing? Learn the difference between smoothies + juices. Learn why I am a fan of both green smoothies + green juices. Learn when to smoothie cleanse + when to juice cleanse. Learn fool proof recipes for everyday juicing + juice cleansing. Learn which fruits to peel, which to juice whole. Learn about juicers and how to choose the one that is right for you. Learn why your body LOVES juice! 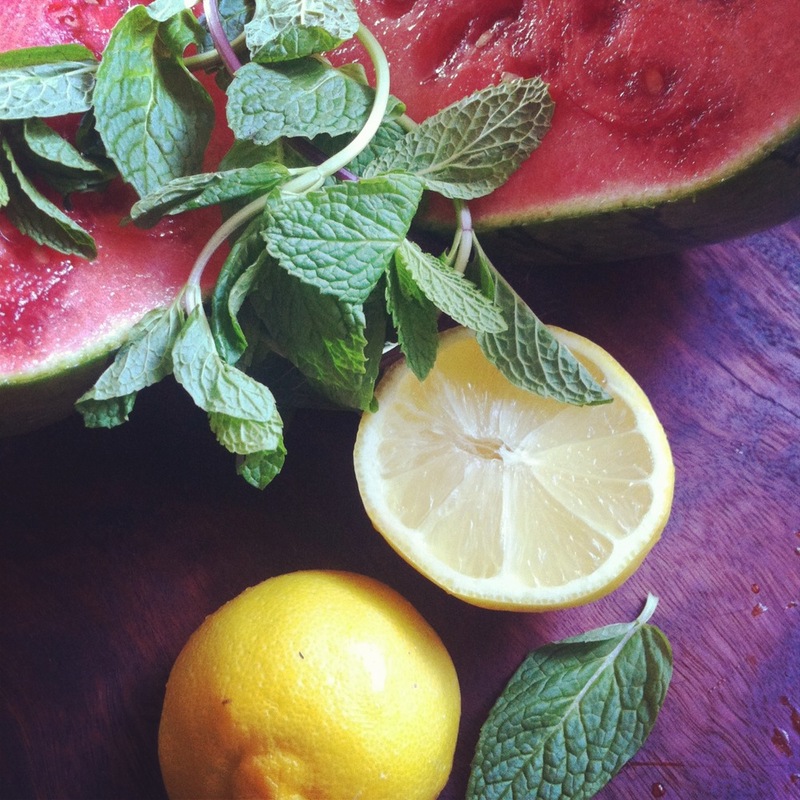 Learn all the details for conducting your own 1 - 3 day juice cleanse. Learn how to eliminate cravings, lose weight (and keep it off) + boost energy with fresh juices! Have a specific question? Submit it in the comments here and I'll be sure to address it in the webinar tomorrow. There will also be time for live Q + A at the end of the call! So excited to share my love of all things juice with you! P.S. Can't make it? No problem! If you are unable to attend the live call register and you'll be emailed the link to access the recording. P.P.S. Would you like to feel more peace? More ease? Happy? How would it feel to never feel like a failure again? Learn how healthy foods can taste good! Increase energy, eliminate disease and understand your body! Join me and a small group of kindred spirits for Group Health Coaching! The next session begins September 3rd. Register here. There's so much goodness coming out of this week (and it's only Wednesday)! A new juicing poster to help making green juice really easy and Kale Yeah! stickers to promote my love project Campaign For Confidence! 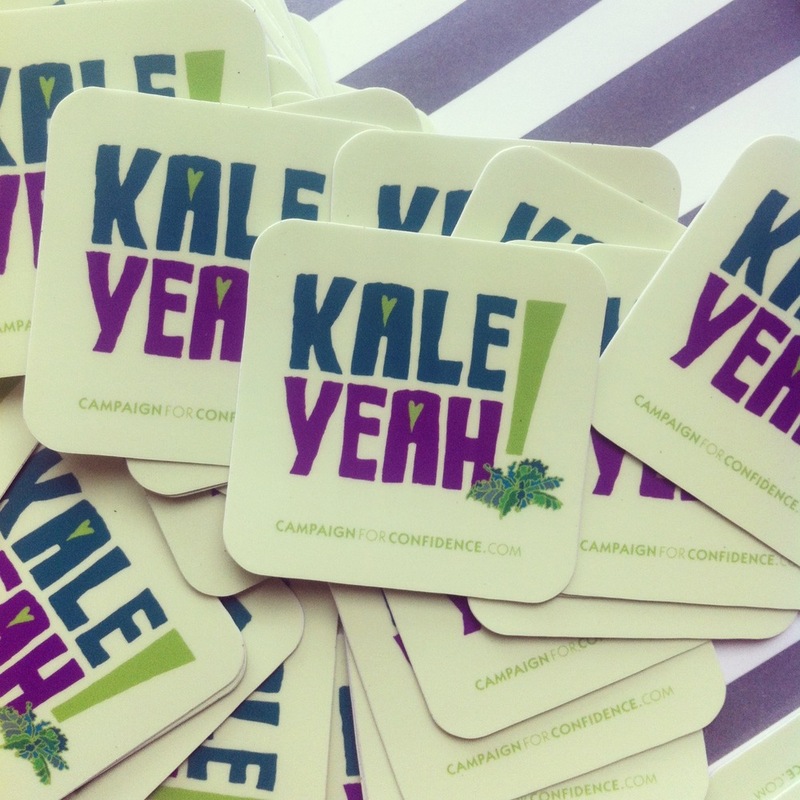 Aaand the Campaign For Confidence Kale Yeah! stickers have arrived! They are SO cute! Wanna help spread the word? I'm sending out FREE stickers for YOU! I bet you know of a street sign, produce scale, mirror, laptop, etc etc etc that could use a little sprucing! Kale Yeah you do! Get in touch via my contact page with your mailing address and I will send some out to you this week! I promise to keep your address locked in a vault and only used for this one-time mailing! Post pictures of where you put your Kale Yeah! stickers to Instagram and tag them with @lacylike #campaignforconfidence I'll put them up here for you to see once we have a little collection! Thank you so much for reading, for supporting, for being here and for being you! Special thanks to Angeles of Yoga-Art.net for lending her impeccable design talents to these projects! 2. Little video update on raw Day 3. The best thing about juice! Welcome to your 2nd cleanse day! Depending on where you live you're half way or over half way there! I am so impressed by how many of you are turning on juicers for the very first time to join the cleanse! I am sending each of you love as you juice today! I first started juicing after seeing the trailer to Fat, Sick and Nearly Dead! Just. The. Trailer! It was almost three months of daily juicing before I actually saw the film and of course I LOVED it. If you're in need of a little inspiration today I suggest you watch it! You can stream it on Netflix. In yesterdays support call we talked about how satisfying green juice is and how the need to overeat processed foods/ sugar filled foods starts to diminish as you take in more nutrient rich foods. That has to be my very favorite thing about juicing. My cravings have all but disappeared, I feel much less need to eat for eating sake and my taste buds are now happy eating real foods. Things that used to taste amazing to me (like Pillsbury Orange Danish & Cinnamon Rolls) now taste terrible. As a girl who could sit down and eat a whole roll of those puffy, flaky, sugary delights that's quite the accomplishment. For the better part of 25+ years I didn't realize that your stomach is not supposed to hurt after eating a meal. I thought that was digestion. I just didn't know that there was another way. In my journey to health juicing has been a profound addition to my life. If you've not started your cleanse yet and are ready to there's still plenty of time. Part of my intention in putting it up online is so that you can access the information anytime and cleanse when it feels right for you. please RSVP here for tomorrow's call. Three 1:1 support spots are open for tomorrow. Is one of them yours?